Welcome to IUPUIDataWorks, a repository for preserving and sharing IUPUI digital research data. It is a place to make research data available for other researchers to find and use. IUPUIDataWorks is also a tool enabling researchers to meet funding agency requirements for data preservation and sharing. For our repository of publications, including journal articles, presentations, and other scholarly products, visit http://scholarworks.iupui.edu. For our cultural heritage materials, visit http://ulib.iupui.edu/digitalscholarship. 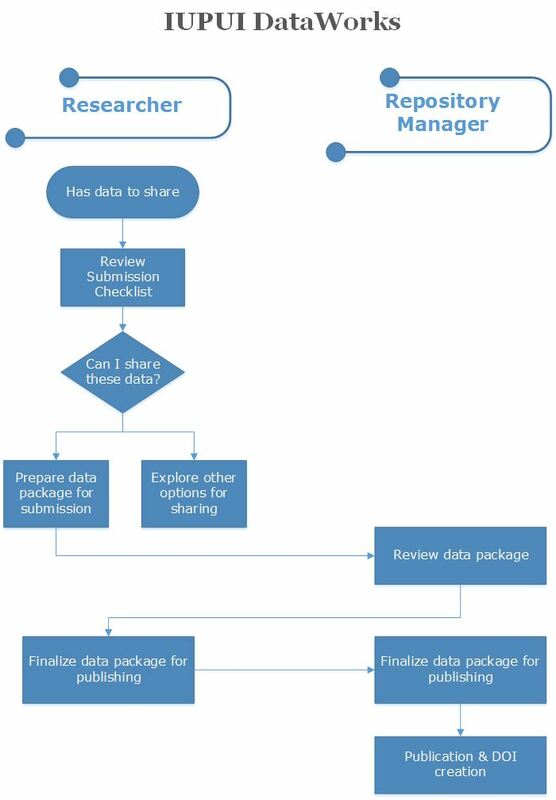 Questions about submitting data? Download the Deposit Checklist [PDF] , take a look at the readme template , and read the Deposit License [PDF] . Data generated by IUPUI faculty, staff, and students.